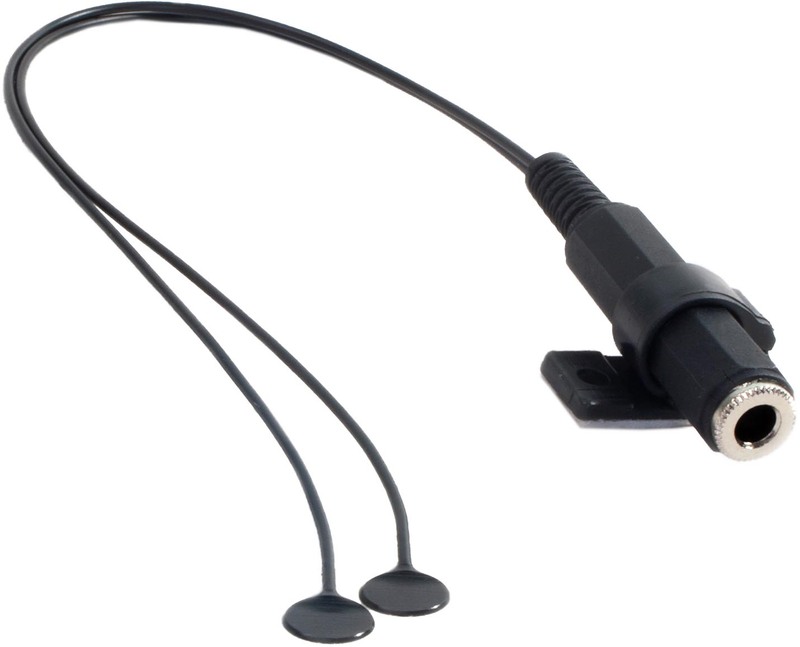 The K&K Sound Twin Spot External is a universal dual-sensor external mount pickup designed for musical instruments. This twin-sensor piezo transducer system can amplify a wide variety of instruments, including guitar, saz, oud, bouzouki, balaleika, cello, dulcimer, bongos, and many others. The Twin Spot External can be used with just about any instrument with a soundboard, as well as with a variety of percussion instruments. The K&K Twin Spot External dual-sensor system has distinct advantages over a single-sensor pickup. The positioning at two spots results in a more balanced sound structure, with less midrange emphasis. The frequency range is broader which produces stronger and cleaner bass and treble. The small heads are only 1/2" diameter and allow an unobtrusive installation, as well as the ability to reach into small areas of the instrument. The K&K Twin Spot sensors can be mounted directly on a soundboard or bridge, on the inside or outside of your instrument. The sensors attach with the included double-sided gel adhesive. Each sensor has its own lead wire which is about 12 inches long, so that the sensors can be separated to match the instrument. The external mount jack includes a self-adhesive hook-and-loop pad for mounting on any flat surface. Lead wire length: about 12"
Pickup sensor size: about 1/2" x 1/32"